According to Google translate, the title of this article roughly translates as; “Jeff Peachey The Importance of Good Tool”. It is vaguely unnerving to have a multi-page article written about you in a language you can’t understand. But I’m not complaining! The author of this piece, Henk Francino and I talked for quite some time (in English) about how tools — specifically hand tools — seem to be increasingly under-appreciated, and under-valued by contemporary society. Isn’t knowing “how-it-was-made” a key component in understanding an object, and the tools used an important aspect? 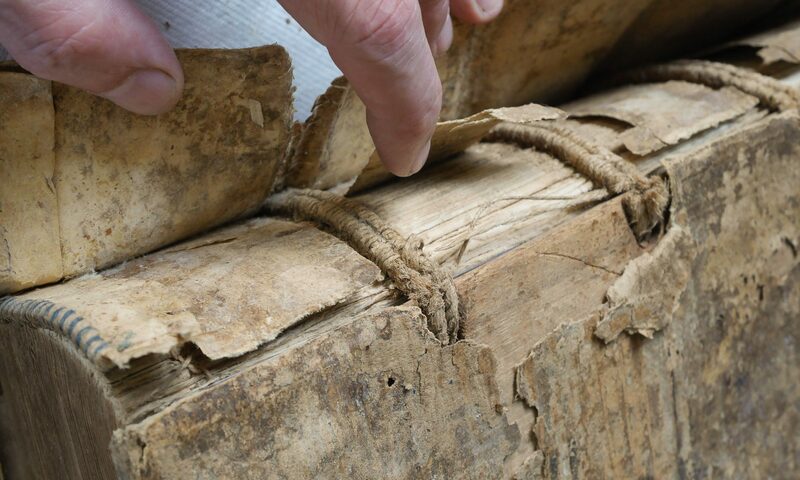 Are only materials to be conserved? Is it even possible to conserve technique? If so, aren’t the tools a critical aspect? 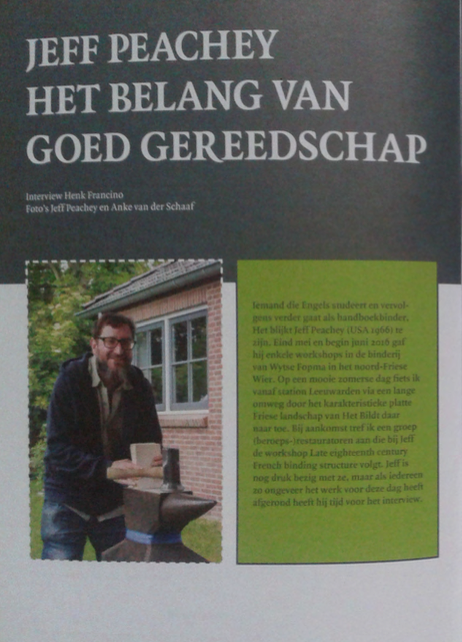 Read it all: Hank Francino, “Jeff Peachey Het Belang Van Goed Gereedschap” in Handboekbinden, Vol. 9, No. 4, 2016. (pp. 112-117).